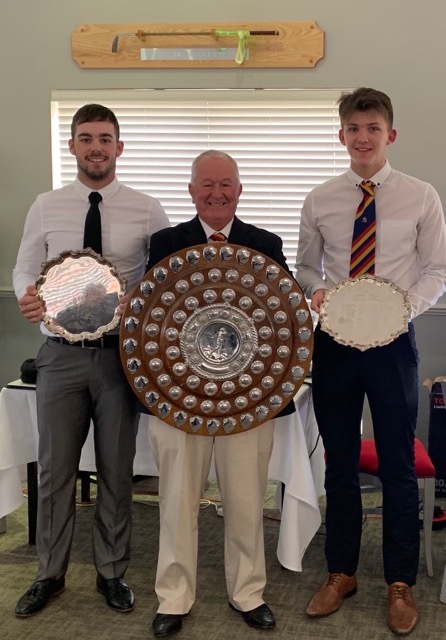 County First Team players Jack Hawksby & Luke Baynham, with rounds of 75 & 73 = 148 pipped the ever young Seniors of Andy Brown & Colin Beard, 74 & 77 for the first County Honours of 2019. Andy & Colin were overall winners of the Nett trophy. Full results are shown in the Competition results. A big thank you to Bedfordshire Golf Club for presenting a course in fantastic condition and superb hospitality. Pictured with our winners, Les Tucker - County President & David Corfan - Competition Secretary.